Celebrate the holidays and the Boeing centennial with our exclusive coaster set. 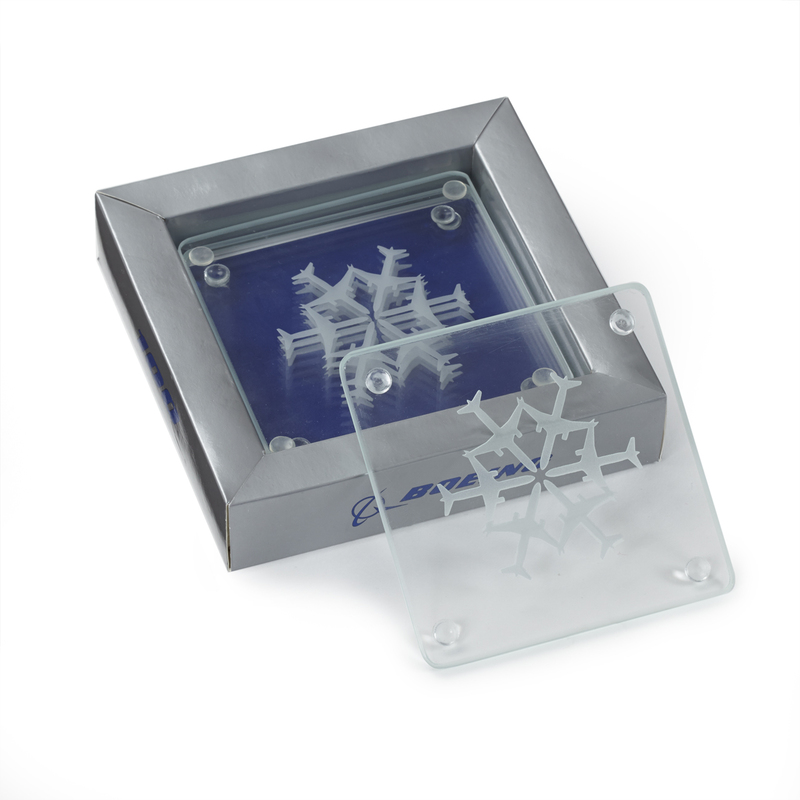 The four clear glass coasters in this set are etched with our original jet snowflake design. Each coaster has four small plastic feet to protect table surfaces. Coasters are dishwasher and microwave safe. 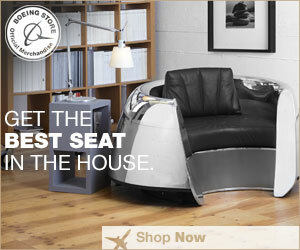 The set comes in a special Boeing centennial gift box. Box measures 5.67″W x 5.67″L x 1.25″D. Imported.